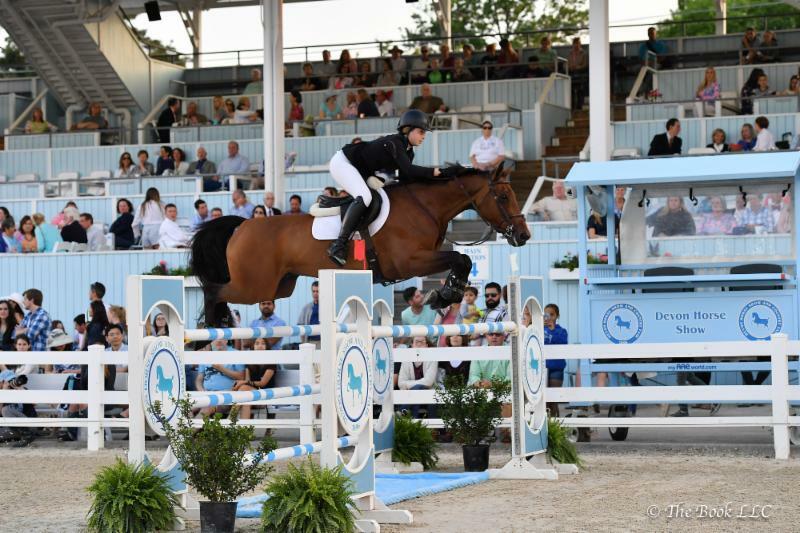 Devon, Pa. – May 27, 2017 – Spectators at the Devon Horse Show and Country Fair were on the edge of their seats during Saturday night’s $20,000 Show Jumping Hall of Fame Junior Jumper Classic as course designer Kelvin Bywater put 28 of the nation’s top junior riders to the test. 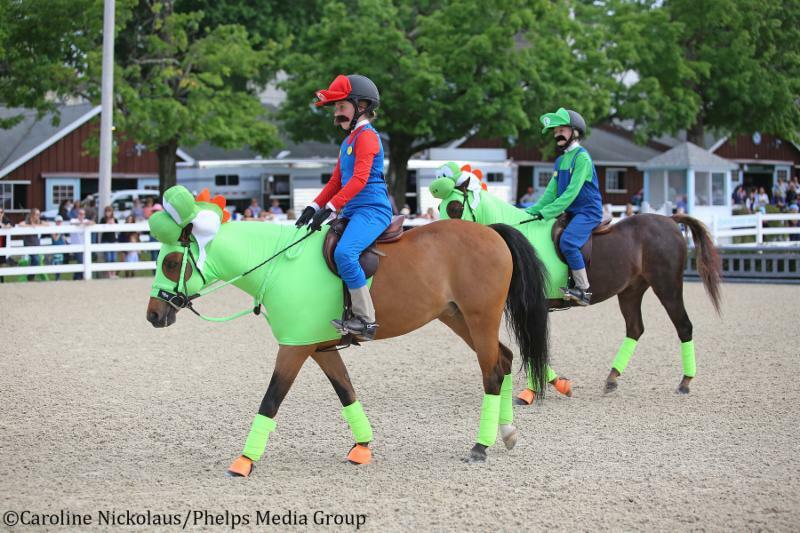 It was a tough battle to the jump-off as only four managed to navigate the course fault-free and move on to compete in the tie-breaking round. 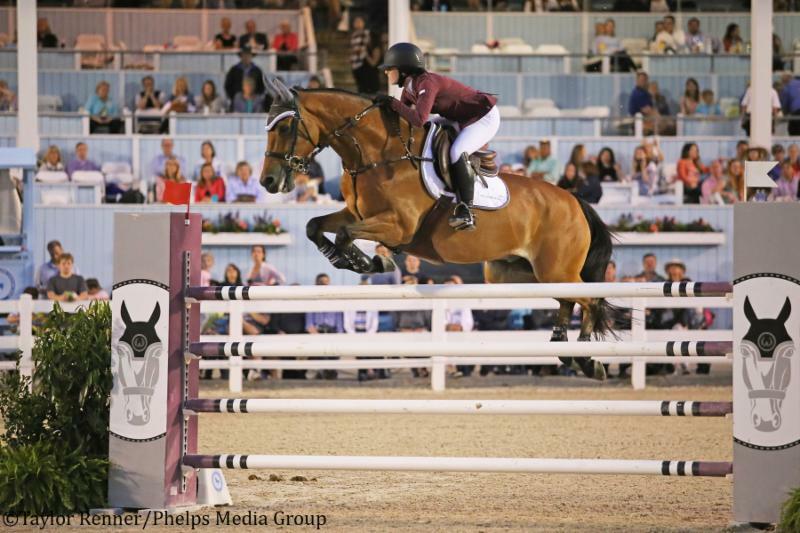 In the end, it was Madison Goetzmann who took the win, while Friday night’s winner, Coco Fath, walked away with the coveted Junior Jumper Championship. Goetzmann and her own Prestigious kicked off the jump-off round fault-free, setting the pace to beat at a quick 38.300 seconds. Caitlyn Connors riding Bink-A, owned by Caitlyn Connors LLC, followed but couldn’t quite catch Goetzmann, finishing fault-free in 43.08 seconds. The third rider to enter the ring was Fath aboard Hillside Farm LLC’s Huckleberry. Fath and the 10-year-old Dutch Warmblood gelding were quick, but not quick enough to surpass Goetzmann, finishing in 39.002 seconds. Brian Moggre was the fourth and final rider to tackle the jump-off, but collected 4 faults and stopped the timers in 36.505 seconds. Goetzmann ultimately finished with the quickest time to earn Saturday night’s win. Second place was awarded to Fath, with third going to Connors and Moggre rounding out the top four. Combining Friday night’s win and Saturday’s top finish, 16-year-old Fath of Fairfield, Connecticut, clinched the Junior Jumper Championship as well as the Leading Junior Jumper Rider Award, presented by Capital Grille King of Prussia, earning the most points overall and showcasing her consistency throughout Junior Weekend at Devon. In addition, Goetzmann was awarded the Junior Jumper Reserve Championship. The Shalanno Style of Riding Award, presented by Shalanno Farm LLC, went to Taylor St. Jacques aboard her own Qantar Des Etisses. 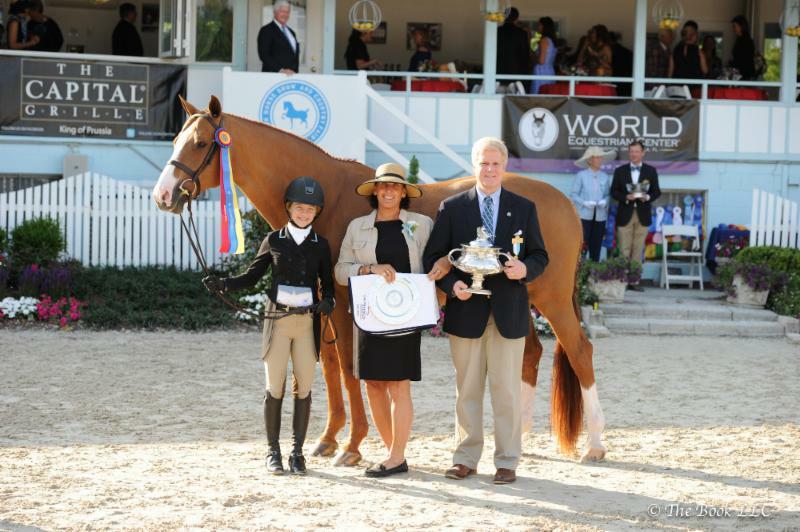 Gochman Sport Horses LLC’s Garfield has been a familiar face throughout the years showcasing his style and natural athleticism in the hunter ring with multiple riders, and in his typical fashion, the chestnut gelding impressed the judges to take home the 2017 Devon Grand Junior Hunter Champion title with his current rider, Sophie Gochman. It’s safe to say that the 15-year-old Holsteiner knows his job and does it well, allowing his riders to enter the ring confident that he is ready to give it his all no matter what. Garfield’s smooth way of going coupled with his solid temperament in the ring make him the ideal Junior Hunter mount. Gochman acknowledged that her trainers at River’s Edge Farm, Scott Stewart and Ken Berkeley, paired her up with Garfield knowing that he would be a great first mount for her in the 3’6″ hunter division. The duo has been an excellent match since their partnership began just six months ago. In addition to the enormous honor of being crowned Devon Grand Junior Hunter Champion, Garfield also earned the Martin F. Bucko Family Perpetual Trophy and the Ovation Perpetual Trophy with Gochman in the irons. Garfield was honored further with the Overall Large Junior Hunter title and the Lestat Memorial Challenge Trophy. Emma Kurtz was presented with the 1902 Edward T. Stotesbury Perpetual Trophy for Best Child Rider after her performances in the Junior Hunters riding Popish Farm LLC’s Due West, Dr. Betsee Parker’s Dedication and Grace Debney’s Wisdom. 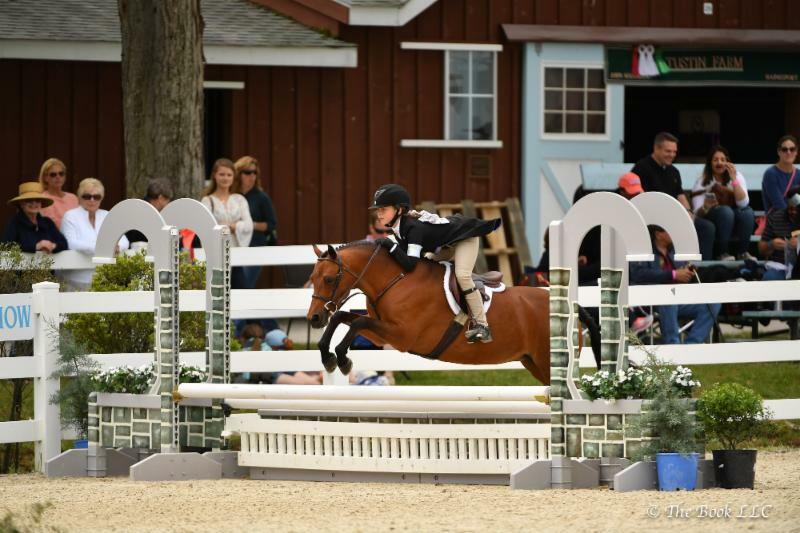 Kurtz and Wisdom achieved the Overall Small Junior Hunter title after putting forth seamless rounds in their competitive division. Dedication achieved The Angelo Award, which is given to the horse who best exemplifies the classic hunter in movement, jumping style and presence. 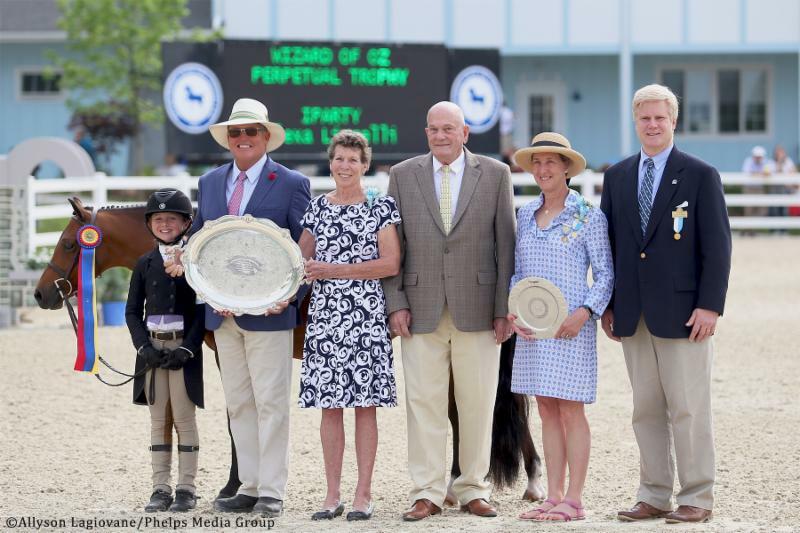 In the Gold Ring, the Wizard of Oz Perpetual Trophy was awarded to the Devon Grand Pony Hunter champion. 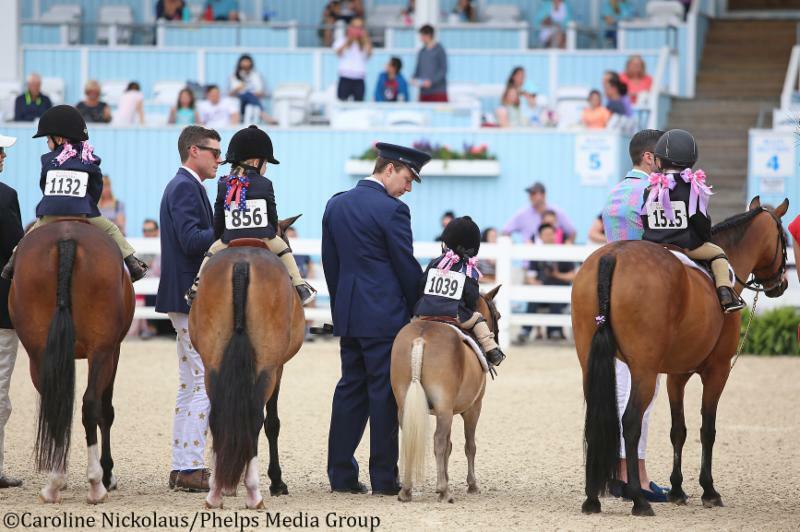 Small, medium and large pony hunter riders competed for top honors, but it was Alexa Lignelli of New York, New York, and her small pony hunter, iParty, who ultimately earned the trophy. 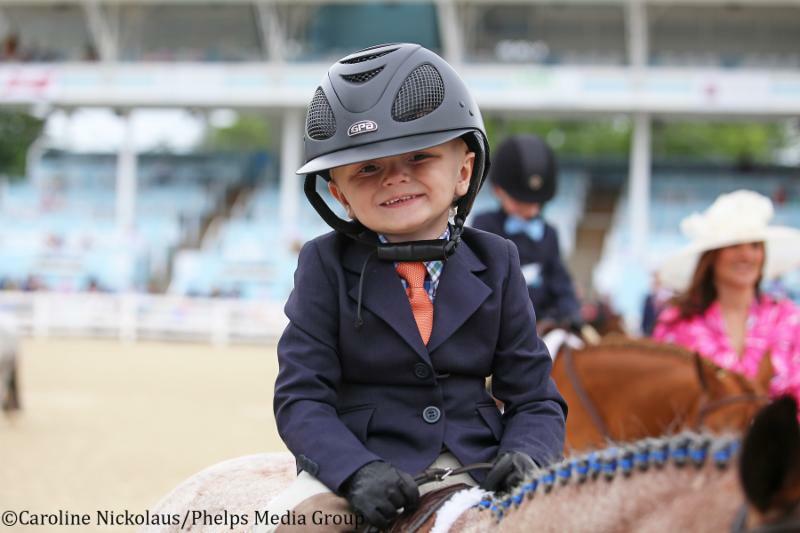 Lignelli and the flashy 9-year-old Half Welsh mare earned themselves a first, two seconds, a third, fourth and a fifth throughout the Small Pony Hunter division, accumulating a total of 28.5 points over the course of the two-day competition, to claim the Small Pony Hunter championship. 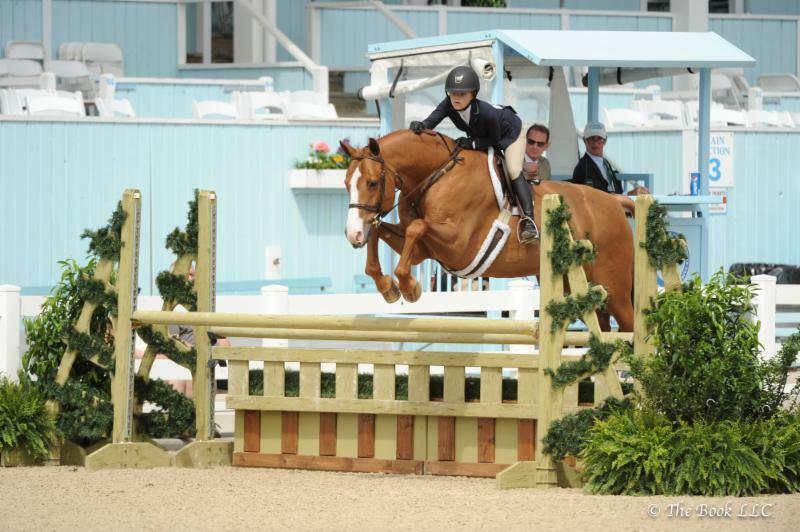 In addition, Lignelli also captured the Small Pony Hunter reserve championship aboard her own Rollingwoods Knee Deep. 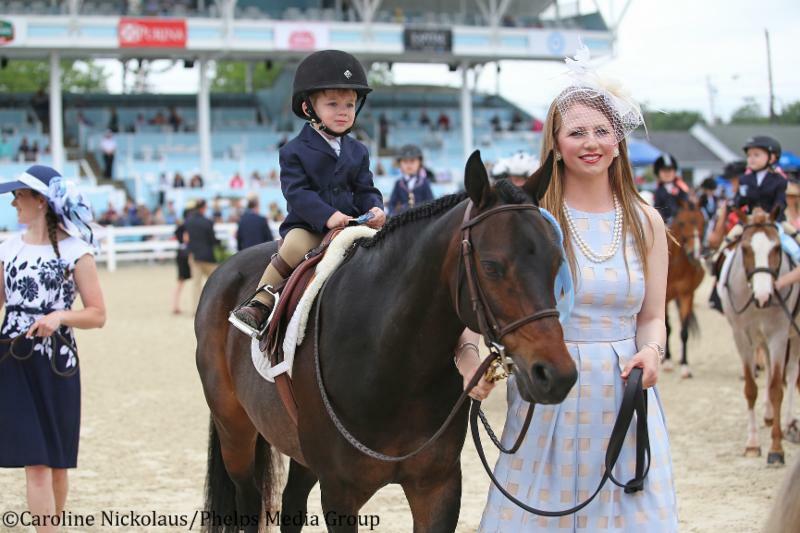 Lignelli continued her winning streak by earning the Best Child Rider on a Pony award. 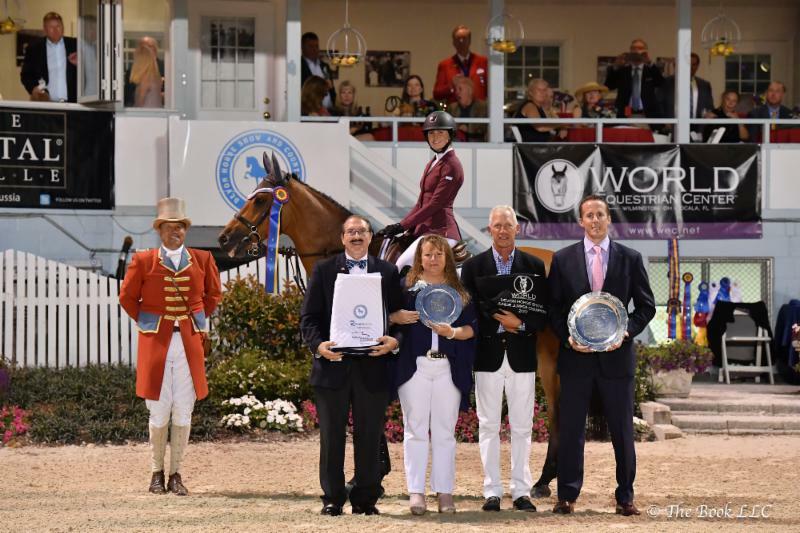 Augusta Iwasaki and Forget Me Not Farm’s Unforgettable took home the Medium Pony Hunter championship, with the reserve championship going to Sofia Roberts and Roberts Stables LLC’s Rock Star. 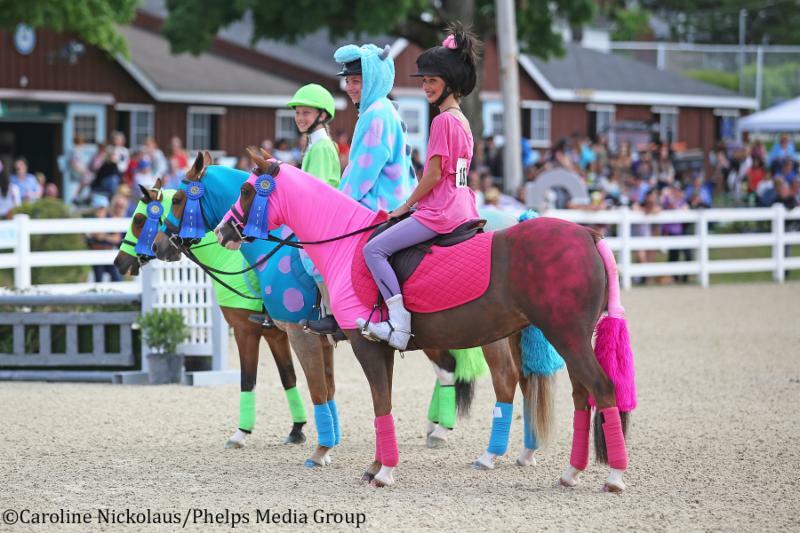 The Large Pony Hunter grand championship was awarded to Stella Wasserman riding her own Spellbound, with reserve champion going to Mia Albelo and Libbie Gordon’s Child’s Play Hot Topic. Memorial Day at Devon will be “A Tribute to Heroes,” honoring active and retired military, police, fire and EMS members who serve our community. A recognition ceremony will take place at 6:30 p.m. in the Dixon Oval. All active and retired military, police, fire and EMS members with a valid ID and their families will receive free admission starting at 6 p.m. The evening’s entertainment includes performances by the Church Farm School Choir, cadets from the Valley Forge Military Academy and an honor guard made up of local first responders. The Church Farm School Choir is made up of students in grades 9 through 12 from the all-boys day and boarding school in Exton. The group has performed in venues all over the country including Carnegie Hall, the U.S. Naval Chapel in Annapolis and the National Cathedral in Washington D.C. They have even performed abroad in South Africa and Germany. The choir will be singing the National Anthem at Devon. The evening classes will begin following the tribute. The night’s classes will feature the $7,500 Adult Amateur Jumper Classic as well as coaching and driving classes. 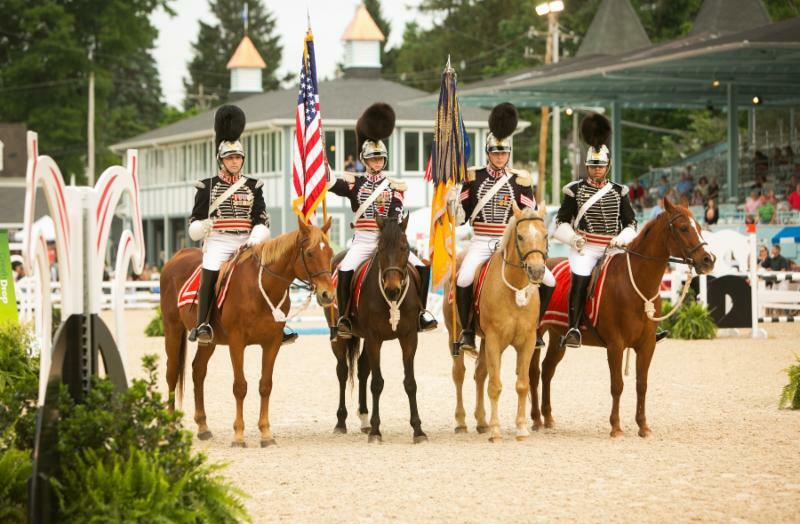 The performances, ceremony and discounts throughout the show are Devon’s way of honoring America’s heroes this Memorial Day.